The virtual reality parks operator ARena Space is announcing an Initial Coin Offering (ICO) launch for its global market entry. 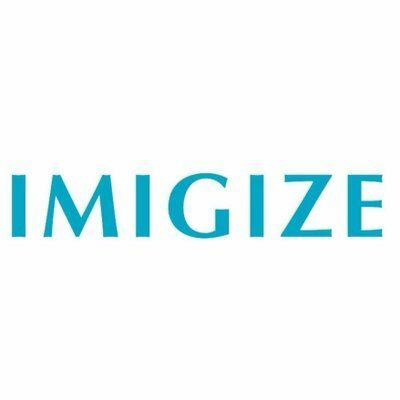 The Pre-ICO will start at the end of September 2017. The company aims to raise $600K. The ICO will start in November 2017, with a target goal of between $3.35M and $30.35M. The investments will be directed towards the opening of between 5 and 15 large entertainment parks, each with an area of at least 500 sqm, and the development of ARena Space’s international franchises in some of the world’s most important regions: North America (Las Vegas), Asia (Beijing), Europe (Barcelona) and the Middle East (Dubai). Following the ICO, the ARena Space chain will host worldwide virtual reality cyber-sports competitions. It’s the world’s first ICO in the entertainment parks market and a growing segment of virtual reality parks. ARena Space has become one of the first European companies with an offline business that has chosen the ICO format to attract public investment. 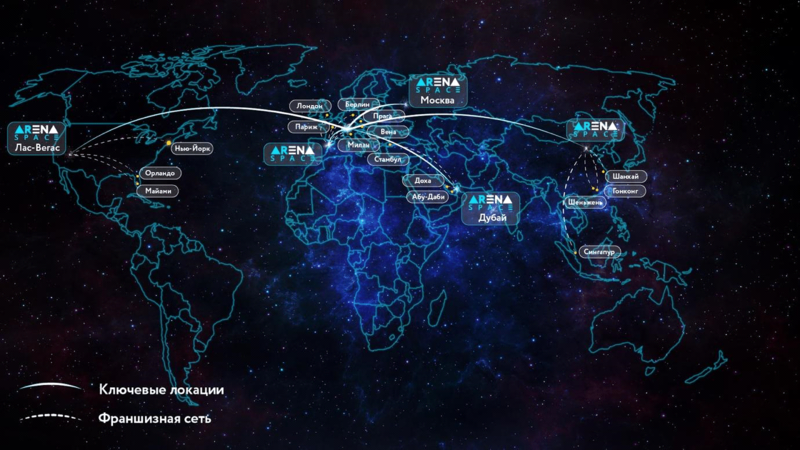 ARenaCoin will be the token of distribution, which is also the currency for clients and partners at ARena Space parks. The token is connected with Ethereum and Dollar exchange rates. By buying and selling the ARenaCoin, investors become a part of ARena Space’s business. Park’s visitors will be able to exchange tokens for services or goods at any ARena Space location, and partners and franchisees will be able to get access to advertising space. Through the discounts for services, the company encourages new clients and partners to enter the ecosystem to increase investment funds. The use of the blockchain provides transparent transactions for all interested persons. The number of tokens that can be bought by one client is unlimited. 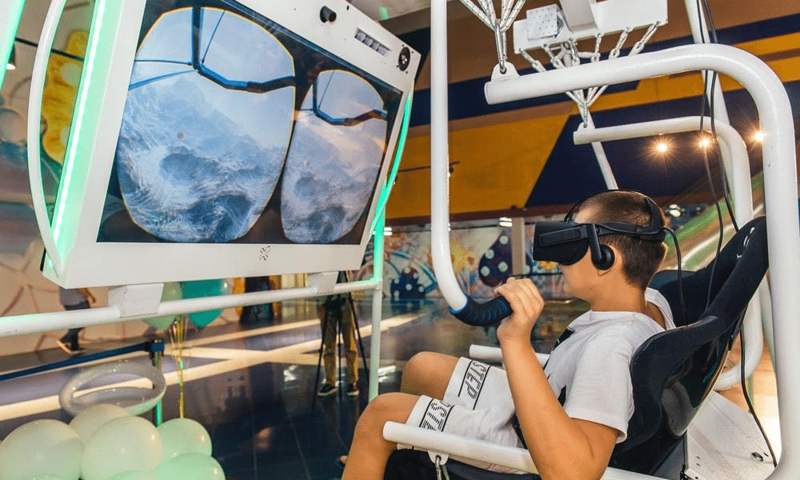 We are creating a unique precedent for the market – combining digital economy, the prospective market of VR technologies and offline business in a novel type of entertainment park. Through our ICO, tokens buyers will be able to invest in the business worldwide. The token’s link to the growth in the client base and the number of locations following the successful ICO will inevitably lead to an increase in the exchange rate, and the investors will get a two to five hundred per cent return of investment within a year. With the integration of investors, b2b partners, b2c clients, locations and the managing company into a single system via the ARena Park Manager platform, we’ve created an ecosystem, the heart of which is the ARenaCoin token. It will enable b2c clients to pay for services with discounts , and franchisees to get considerable discounts for lump-sum payments (up to 30%) and up to 1% of royalties. Investors will purchase ARenaCoins at the Pre-ICO stage with the 67% discount and at the ICO stage with bonuses. The lottery is provided to the participants of the distribution of tokens. 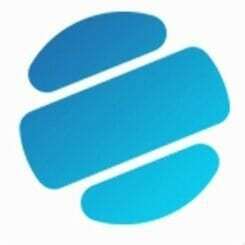 Token’s owners will be able to exchange them for services/goods, sell them in the corporate MarketPlace shop, or in other crypto stock exchanges. 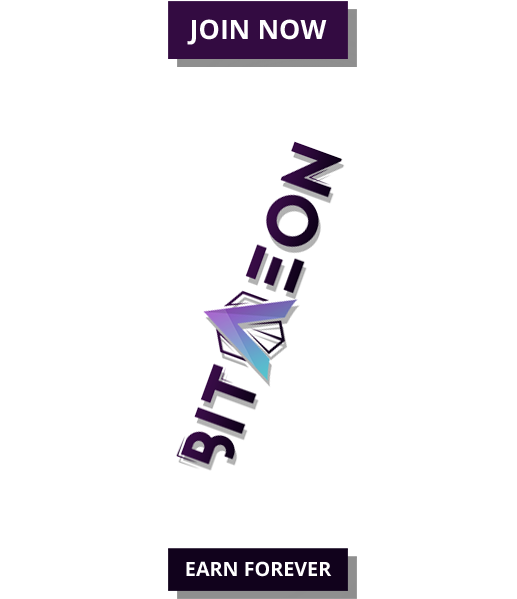 The token can be a method of payment between ARena Space and b2b-partners; partners can purchase tokens from holders for this purpose. The main difference between ARena Space’s ICO and the majority of cryptocurrency distributions is the reliability of the investment. The token is backed by real demand. 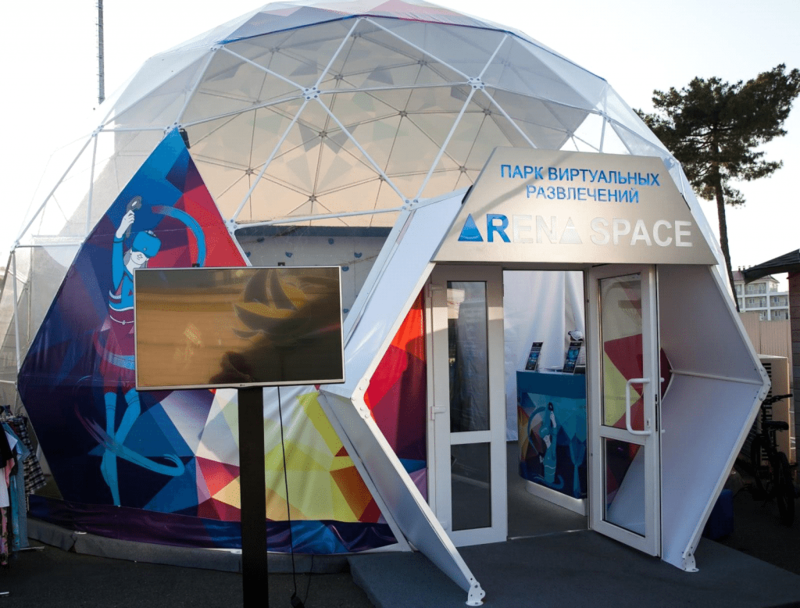 The ARena Space parks chain is a real functioning offline business with 6 parks operating in Moscow, St. Petersburg, and Sochi, and with two parks in the process of being opened. The company has served 20 thousand clients and has sold three franchises. By the beginning of 2018, 10 more franchise parks will be opened in the CIS and Europe, and revenue will increase to $500K. For detailed information about ARenaCoin and its ICO stages, please visit arenaspace.io. ARena Space project was born at the end of 2015 as an idea to create a virtual reality full immersion platform — ARena Full Immersion VR . ARena was the first in Russia to develop such system. The demonstration of the three-game scenes had great success in May 2016 at the Devgamm’16 conference. ARena Space was the first to begin development of a virtual reality park chain in the middle of 2016. 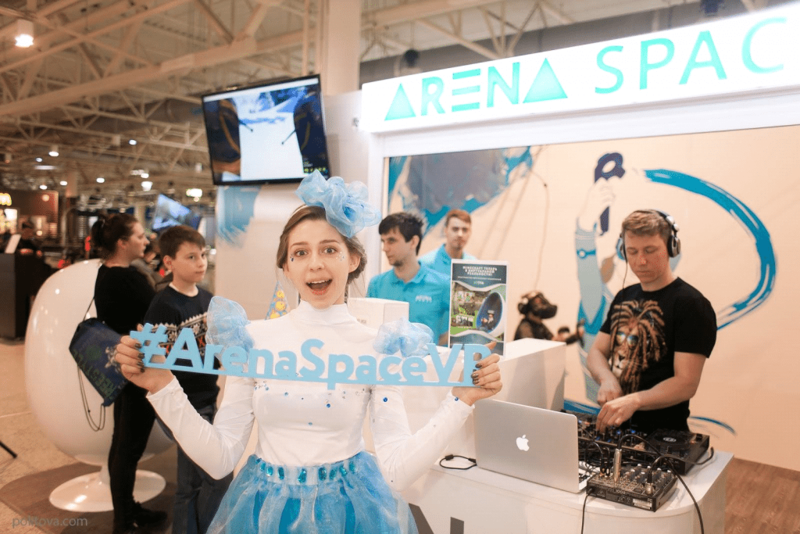 In September 2016 the first ARena Space location was opened in Moscow. The main park’s feature is the modular, easily scalable system, which allows to very rapidly build a park on an area from 20 to 2000 sqm. There are dozens of games, hundreds of in-house development content and partners’ content for our clients. ARena Space’s team has 77 years of experience in the entertainment industry, IT development, VR/AR, franchise development, and also in the entertainment marketing combined. The Producer of Cirque du Soleil’s several shows, the Vice-President of Electronic Arts, the Founder of CryptoValley, and other experienced professionals are a part of the Advisory Board. This fact enables to reach the market’s leaders and to speed up the development of the project. The first park was opened in September, 2016, and built in just a month. The company has its own R&D laboratory, creates the unique content and attractions, and that’s how it stands out from its competitors. The team has implemented more than 20 VR projects in the entertainment, business, manufacturing and museum sectors. There is also the in-house built in-house built software platform or entertainment park management – ARena Park Manager – in ARena’s possession. The agreement of intent about the accommodation building in one the 5 largest Moscow SEC was signed. The location will be situated in the entertainment and food-court zone which has the permeability 1 660 000 persons a month. 52 000 persons a month will pass near the ARena Space location in Moscow.